Planning a trip to Sagada? 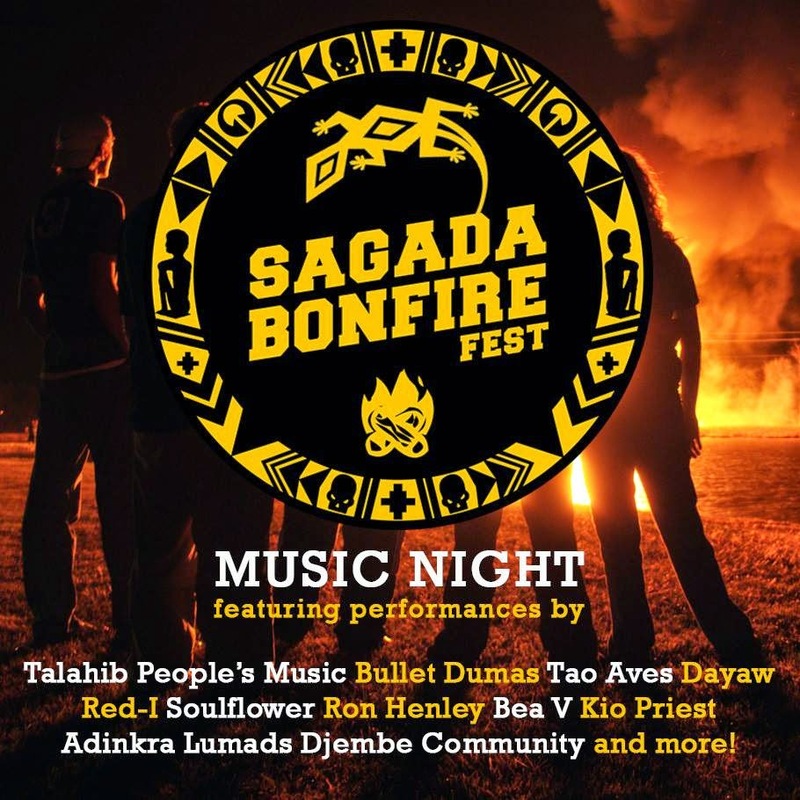 Why not plan it around the Sagada Bonfire Fest MUSIC NIGHT happening on Dec 27. It's a true celebration of our Filipino sound as we get you dancing to world, ethnic and tribal beats of Talahib Peoples Music, Dayaw and the Adinkra Lumads Djembe Community. Witness a stripped down hiphop set from Ron Henley and acoustic performances from Bea Valera and Kio Priest. Get a taste of irie with sublime sounds from Red-I and Soulflower and be enchanted with Tao Aves' and Bullet Dumas' beautiful music. It's gonna be one awesome night. Tickets for the #SagadaBonfireFest will be available Nov 12 onwards at the Travel Factor Office in Kapitolyo, Pasig and Nov 14 onwards at the Saggas Sagada Office in Sagada. Ticket Prices: P350 for Music Night (Dec 27) / P250 for Cultural Night (Dec 28) / P600 for both nights. All for the benefit of the Ganduyan Bucks. Mt. Province's official little league and junior baseball team. *Information and event poster gathered from Sagada Bonfire Fest FB page here. I can just imagine it will be amazing with the bonfire and the music blending like crazy. Yes, I can almost hear the echo of the gongs!